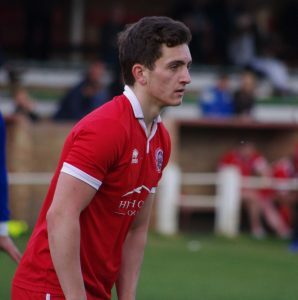 Matty Pinder came on for the last ten minutes for Worsbrough in the final day clash with Pontefract, six months after been struck down by the Guillain Barre Syndrome. When you sit down and reflect, 2017 has been a very successful year for Non League football in Yorkshire. 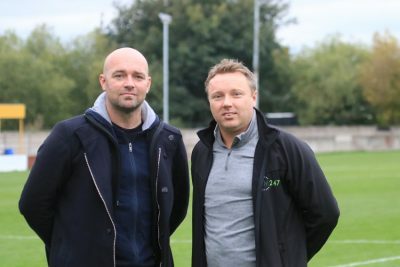 More clubs than normal have won promotion, won silverware and for the first time since NLY was launched, a Yorkshire club from below the National League has reached the FA Cup first round. Now regular readers will know that NLY has headed in a different direction since August, with the launch of the Community Sport section. But despite that now taking priority, it has still been a good year for the site as there has been a number of articles which could be classed as proper journalism. So there it begins, our look back at 2017. 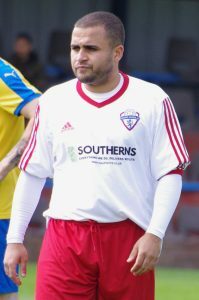 Super ‘Sedge stunned their Evo Stik opponents with two last minute goals from Roy Fogarty in the FA Cup. The double earned them a 3-2 victory. 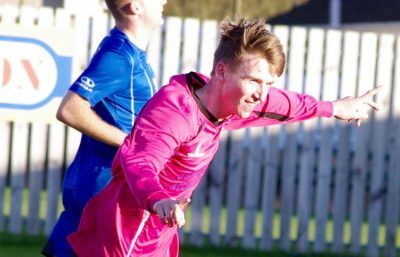 Garforth Town’s prodigal son Mark Simpson broke a club record by scoring in nine consecutive matches. 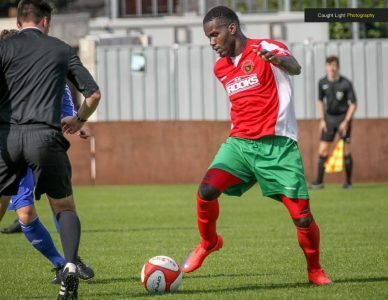 His flukey last minute free kick against Liversedge in February was the record-breaking goal. He did go onto score in a tenth straight match too. Throughout Penistone’s escapades during 2017, Andy Ring’s name has been prevalent. He was the hero in the dramatic 3-2 FA Cup victory over two leagues higher Whitby. Having lost sent off skipper Danny Howes in the first half, Church somehow hung in there and claimed an unbelievable victory at the death. 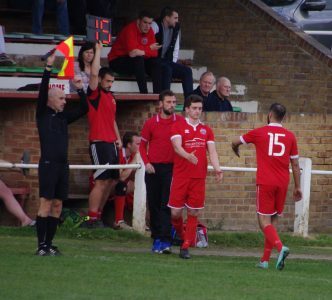 Pontefract Collieries, arguably the region’s team of the year, were heading out of the FA Vase until Vaughan Redford equalised to take the tie to extra-time at Hall Road Rangers. The Colls went onto win it in extra-time and are the only remaining NCEL side left in the competition – with Wembley only a few rounds away. 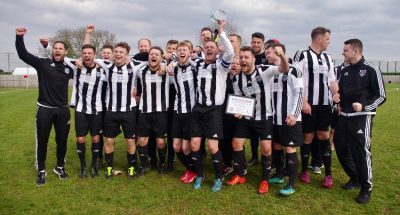 The Colls have had an exceptional year – they have won promotion, put themselves in the running for the Premier Division title with 16 wins out of 18 and scored over 100 goals already this season. 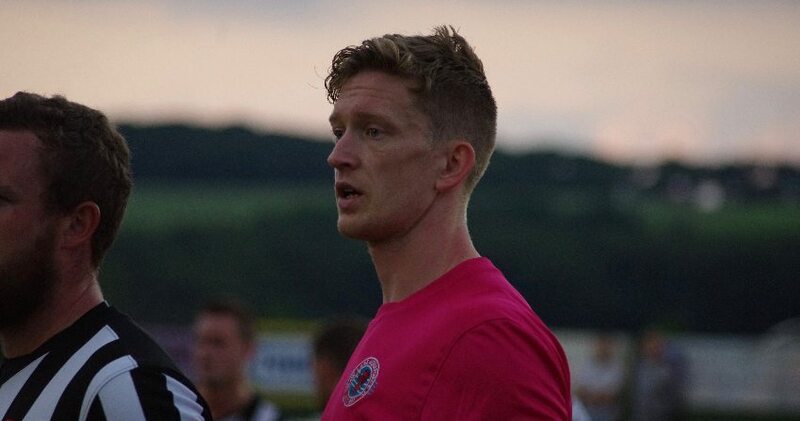 Ossett Albion have made a few waves recently, especially with the signing of Gibraltar International Adam Priestley. 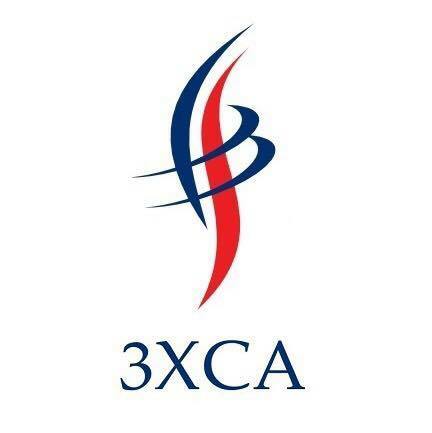 Their chairman John Chidlaw wants the club to reach the Football League. 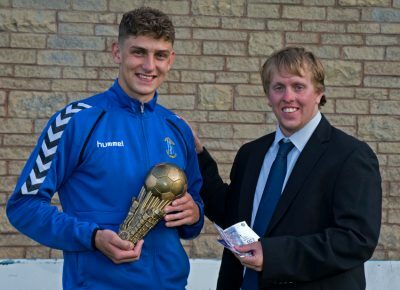 The capture of record-breaking AFC Emley striker Ash Flynn signalled the start of an exciting new era at Yorkshire Amateur – helped by the sponsorship from local businessman Andy Kendall-Jones. No-one gave Penistone a chance when they entered the play-offs. 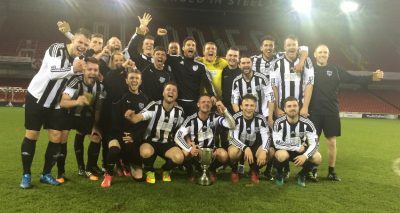 They didn’t either when they faced higher league Bridlington Town in League Cup final at Bramall Lane. However, Church upset the apple cart again by winning 4-1 against Curtis Woodhouse’s side. On a dramatic final day, a controversial Josh Batty goal won the title for Hall Road, who just needed to win at Campion, to win the league. With two minutes remaining, Ossett Town were up, but Richard Marshall struck. 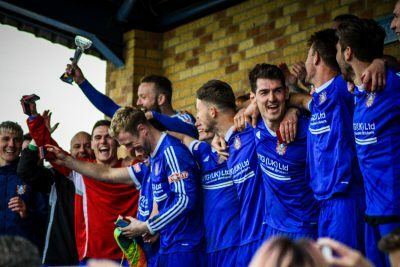 Farsley went onto win 4-2 after extra-time to win promotion. 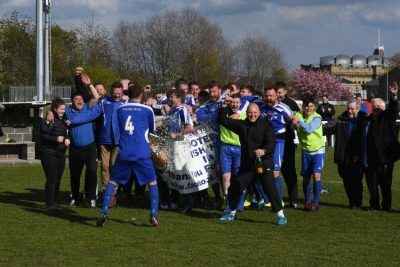 Martin Pembleton struck twice in a memorable and unlikely victory at Throstle Nest – a result which cost Farsley the title as it enabled Lancaster City to win it on the final day. 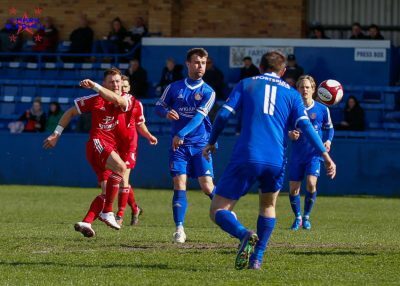 For Ossett, it put them in the driving seat for a play-offs under Grant Black, still the best up-and-coming manager in the Evo Stik. The so-called weaker team in the play-offs. Having shocked AFC Emley, Church completed their unbelievable triumph by winning 4-1 at Grimsby Borough to clinch promotion. 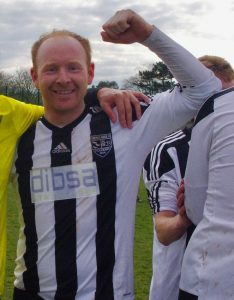 After the Dan Wilkinson tragedy, Shaw Lane honoured him by winning the title after a thrilling race with Witton Albion. 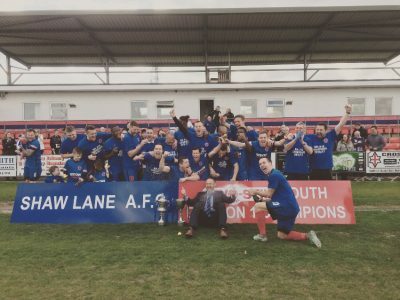 After so many promotions, Shaw Lane ticked off another holy grail item by reaching the FA Cup first round. The Ducks played Mansfield Town in front of the live television cameras. 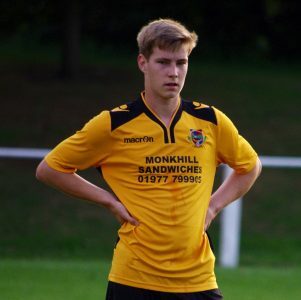 Non League Yorkshire’s player of the year Harrison Biggins followed in the footsteps of Jamie Vardy by securing a deserved move to the Football League. 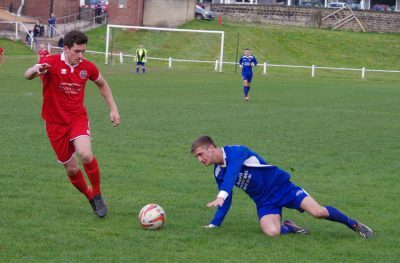 Matt Pinder said the last ten minutes of Worsbrough’s last day 2-0 defeat to promotion-winning Pontefract were the best of his life. It is hardly surprising considering six months earlier, Matt feared he would never walk again. The heartwarming and inspiring article with Matt and his dad Ray is probably the best that NLY has ever published.